I was working on these two Bru heads, 14 inch Bru Jne 4 and 16 inch Bru Jne 6 before my neck gave out. 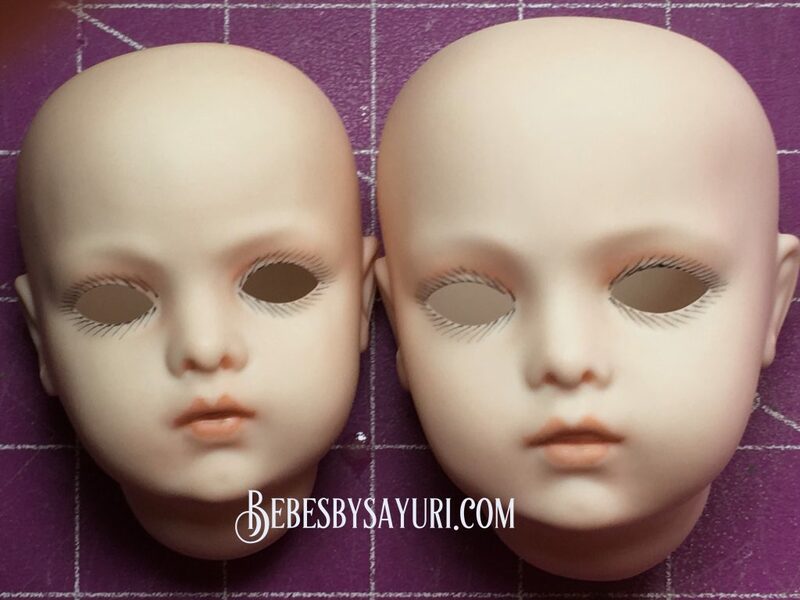 I will finish these dolls for exhibition in Japan in this fall soon as I am able to get back to doll making. 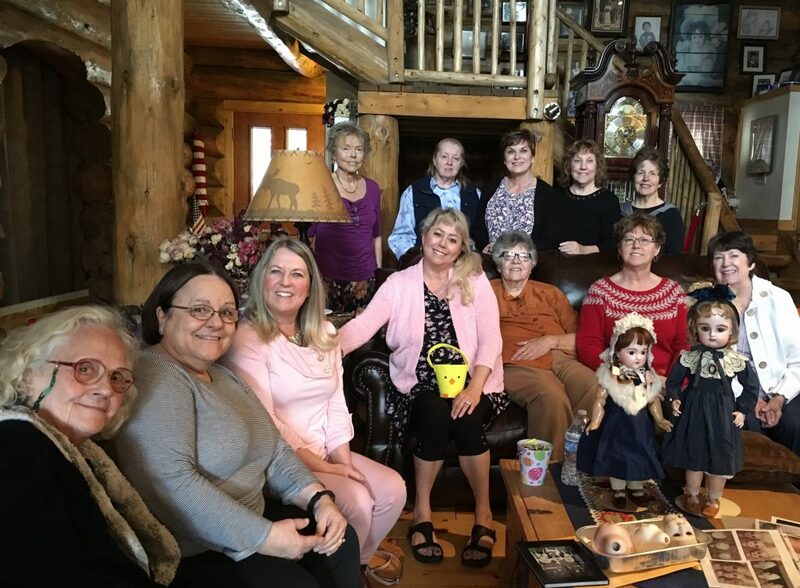 I hosted Sierra Nevada Doll Club ( local UFDC doll club) monthly meeting at my house. Each member takes turn to host monthly meeting in our club and April was my turn this year. We welcomed three new members recently so we had thirteen members including me gathered in my house. Meeting hostess usually provides lunch and gives doll related program. I decided to talk about different types of Eden bebe since I make reproduction of Eden bebe often. 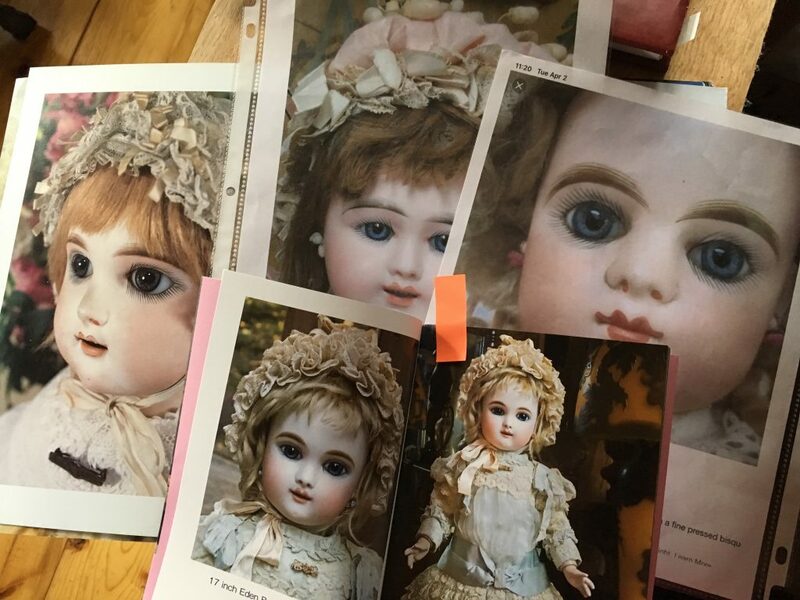 There are so many unknown facts about Eden bebe so instead of going deep with history of the doll, I focused mainly about facial features of different models of Eden bebe and similarities with other French brand bebe dolls. 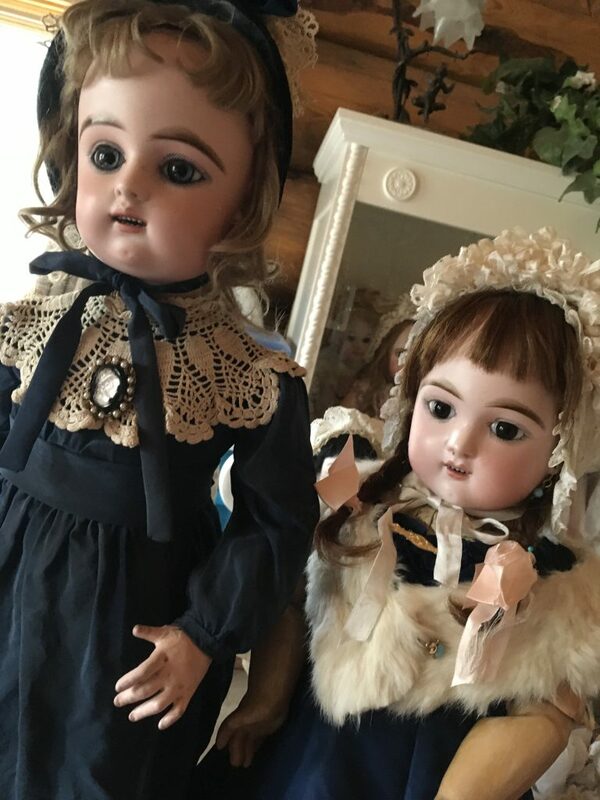 Many of our members were not familiar with Eden bebe and I am glad I was able to show something new to learn.We all received Easter basket as take home gift at the end of the meeting, it was a fun day with my doll friends!